A group of veterinarians from the National University’s Smaller Species and Wildlife Hospital (HEMS-UNA) saved the life of an ocelot (Leopardus pardalis) that was struck by a vehicle in Tamarindo. The accident occurred on Jan. 12. Veterinarian Gilberth Cavallini provided emergency assistance to the ocelot at the scene of the accident. After getting the animal stabilized, responders transported it by air for emergency surgery the same day at HEMS-UNA. The accident caused severe injuries to the ocelot’s jaw, legs and head. 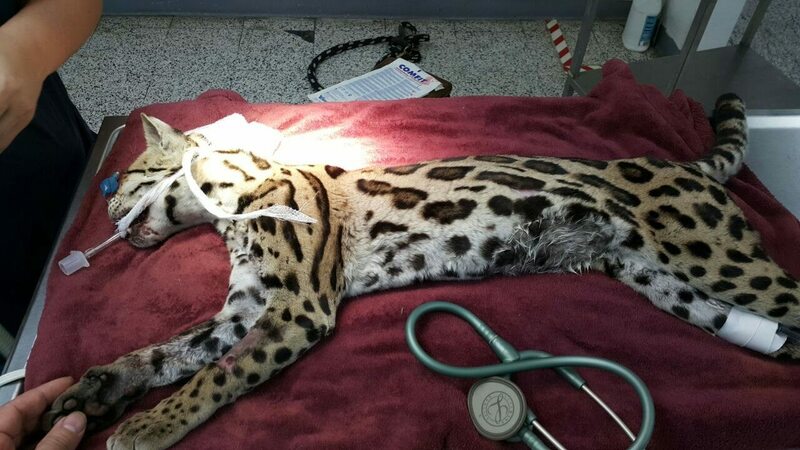 HEMS-UNA Director Mauricio Jiménez said the ocelot arrived at the hospital in critical condition and was immediately sent to surgery. He said caregivers were able to save the animal’s life thanks to the quick response at the scene of the accident. The ocelot will remain under observation for at least three days at HEMS-UNA until it heals from encephalic skull trauma. After that, it will be transported to a wildlife refuge before being returned to its natural habitat. In 2016, six ocelots were struck by vehicles in Nicoya Peninsula and two were struck on the Cañas-Liberia Highway, according to Grupo Vías Amigables con la Vida Silvestre (Safe Wildlife Routes Group). 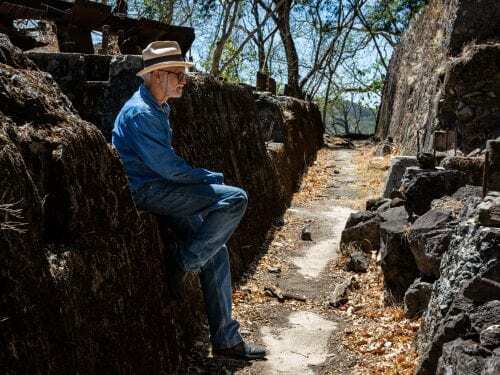 According to specialists, the animals cross from one side of a highway to the other to seek refuge and food or to mate.